In the previous article (http://ponnadi.blogspot.in/2012/10/archavathara-anubhavam-madhurakavi.html) we observed madhurakavi AzhwAr's archAvathAra anubhavam. Let us now see kulasEkara AzhwAr's archAvathAra anubhavam. In upadhEsa rathina mAlai, 13th pAsuram, mAmunigaL hails kulasEkara AzhwAr's thirunakshathram in the following way. It will help us understand the glories of kulasEkara AzhwAr. People of this world please hear as I tell you, the greatness of mAsi punarpUsam is due to the fact that kulasEkara AzhwAr who is the king of the place named kolli is born on this day and because this day is celebrated by great personalities like emperumAnAr. Here nallavargaL means sAdhus. While normally sAdhu is a term that is identified with soft natured people and innocent people, emperumAnAr in his gIthA bhAshyam explains the meaning of sAdhu in a very relishable way in slOkam 4.8 for the phrase "parithrANAya sAdhunAm" which means protecting sAdhus. kulasEkara AzhwAr is glorified like this by mAmunigaL, so that gives an idea of his greatness. kulasEkara AzhwAr, born in a kshathriya family, developed great attachment towards emperumAn that too chakkaravarthy thirumagan. 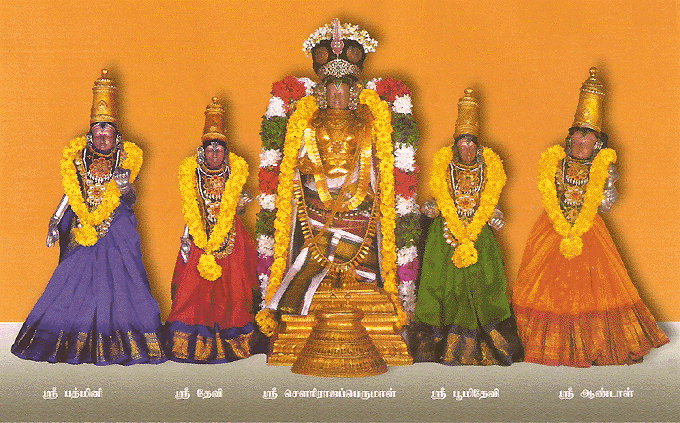 Let us understand his archAvathAra anubhavam with various archAvathAra emperumAns in perumAL thirumozhi. 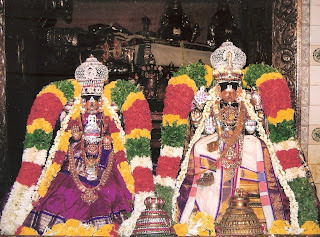 Azhwar starts his perumAl thirumozhi with thiruvaranganAthan. In his thanian itself it is identified that when he was a king he was longing to go to thiruvarangam everyday. He had so much attachment to periya perumAL that he could not resist expressing his attachment for periya perumAL even though he had his thoughts fully on chakkaravarthy thirumagan all the time. Right in the first pAsuram he mentions "thiruvaranga peruNagaruL" (திருவரங்க பெருநகருள்). 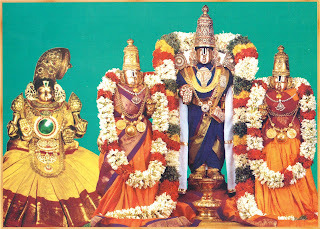 periyavAchAn piLLai explains that for AzhwAr srivaikuntam is srirangam (srivaikuntam is called "peru veedu", so he is calling srirangam peruNagar). In the second pAsuram he identifies that he wants to hold on to the pillars in front of periya perumAL otherwise he wont be able to hold the sight in his heart of emperumAn long because as soon as he sees periya perumAL he will be overcome with emotions and faint. 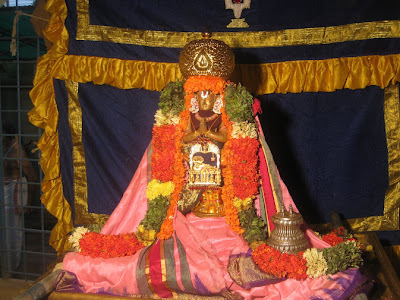 Let us enjoy the 10th pAsuram from this padhigam, where AzhwAr enjoys the congregation of adiyArs in thiruvarangam. emperumAn descends to thiruvarangam as periya perumAL to give ujjIvanam for dhEvas like brahma, etc and their residing places like sathya lOkam, etc., manushyas and their residing place (bhUmi), to clear off the sins of jIvAthmAs, to give pure joy without any mixing of sorrow, to bring happiness in the hearts of his adiyArs by giving them his anubhavam and to give his constant katAksham to vibhIshaNAzhwAn who is living in the southern side (lankA). When Oh When I will get to see the beautiful sight of all the srivaishnvas congregating in front of periya perumAL and mix with them freely. In the vyAkyAnam, periyavAchAn piLLai identifies a couple of wonderful points. emperumAn descends from paramapadham to sathya lOkam and is worshipped by brahmA, from there he descends to ayOdhya to be worshipped by perumAL and finally reaches srirangam to give his constant katAksham to vibhIshaNAzhwAn. He also identifies the glories of kulasEkara AzhwAr who was a crowned king, but did not care about any of his kingly qualities, but just wanted to mix with the srivaishnavas in thiruvarangam. One of the unique qualities of kulasEkara AzhwAr is that, not only he was attached to emperumAn, he was also very fond of srivaishNavas. That is why, right after glorifying thiruvaranganAthan, he immediately glorified the srivaishNavas in the second padhigam of perumAL thirumozhi. 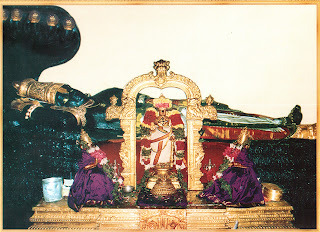 azhagiya maNavALa perumAL nAyanAr in his AchArya hrudhayam identifies the greatness of kulasEkara AzhwAr in chUrNikai 87. In this chUrNikai nAyanAr explains that, for a srivaishNava, it is not important where/who he is born as, but what is important is bhagavath sambandham and bhAgavatha sambandham. To establish that he takes few examples. nithyasUris take any form to engage in whatever kainkaryam of emperumAn - AdhisEshan taking the form of a snake, garudan taking the form of a bird, etc. sukAchAryar desired to be born as grass, plants, etc in vrindhAvanam where gOpis and krishNan walked around so he can have the contact of their thiruvadis. kulasEkara AzhwAr wanted to be born as anything in thirumalai to have the sambandham of emperumAn. ALavandhAr wanted to be born as a worm in a srivaishnava gruham instead of being born as brahmA. kulasEkara AzhwAr, in the 4th padhigam of perumAL thirumozhi, glorifies thiruvEnkatamudaiyAn and thirumalai. He also shows great desire in being born as a bird, a fish in the pond in thirumalai, a vessel that is used in emperumAn's kainkaryam, a flower, a tree, a peak, a river, the foot steps on the hill, the foot step at entrance of the inner sannidhi or anything. Let us enjoy the 9th and 10th pAsuram, which explain great meanings of our sampradhAyam. Oh the great one! oh thiruvEnkatamudaiyAnE! oh the one who clears me loads of sins to relieve me from samsAram! I want to become the foot step in the entrance of your sannidhi where srivaishNavas, dhEvas and dhEvashthrIs come and wait for your grace. Even being a foot step, I still want to see and enjoy your beautiful lips. we should have the pArathanthriyam towards emperumAn to be like achith. For example, if we take a desk and move it somewhere else, it will not question us - we should also be like that when emperumAn does anything to us, we should not question him. When he is satisfied with our kainkaryam he shows great satisfaction and joy and we should also reciprocate it, otherwise we will not be any different from a achith. For example, when we lift a child and play with him, if the child responds to our dealings, our joy will be doubled, the same way, when we reciprocate to emperumAn's joy, his joy will be doubled. In the 10th pAsuram, AzhwAr says, he does not care about being a king of dhEvalOkam even, but he wants to become something (or anything) on thirumalai. He says "thiruvEnGkatamennum emperumAn ponmalaimEl EthEnum AvEnE" (திருவேங்கடமென்னும் எம்பெருமான் பொன்மலைமேல் ஏதேனும் ஆவேனே). ananthAzhwAn explains this as he will even accept becoming thiruvEnkatamudaiyAn on thirumalai. bhattar explains this as AzhwAr just wants to become something on thirumalai. He says "I dont need to know what I have become, emperumAn need not know what I have become, Others need not know what I have become and praise me - I just want to become something on the holy thiruvEnkatam hill". 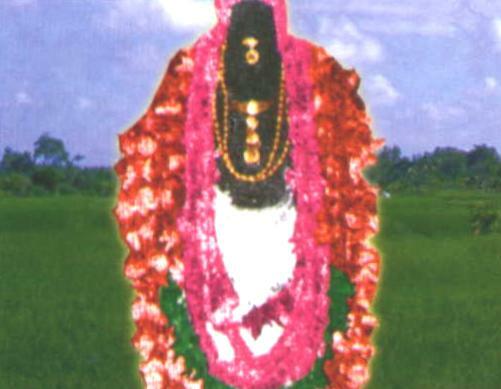 AzhwAr submits the 5th padhigam to uyya vandha perumAL of thiruviththuvakkOdu. In this padhigam he explains his ananya gadhithvam in great detail. Let us enjoy the 2nd pAsuram where he shows an important meaning. Oh viththuvakkOttammA who is surrounded by beautiful high forts, even if you dont accept me, I will be attached to your lotus feet only like a pure/chaste woman who is attached to his husband even if the husband insults her in public in front of everyone. periyavAchAn piLLai explains in the vyAkyAnam that our relationship with emperumAn is like wife and husband. emperumAn is called as "pathim vishvasya" in shruthi, "lOka barthA" in srirAmAyaNam. When a husband insults the wife, the wife always have to think about their relationship which was accepted infront agni (whose antharyAmi is emperumAn) and accept those insults calmly. The same way since all jIvAthmAs are related to emperumAn as wives, even if emperumAn does not accept our kainkaryam, we should still think about our sambandham with emperumAn and not falter in our full dependence on him. That is the true nature of a srivaishnava as expounded by AzhwAr in this matchless padhigam. AzhwAr takes the bhAvam of kousalyai and enjoys perumAL in this padhigam. AzhwAr's affection for sri rAman is limitless. And he enjoys that anubhavam in thirukkaNNapuram emperumAn in the 8th padhigam. Let us enjoy the 6th pAsuram which reveals a wonderful aspect about iLayaperumAL. periyavAchAn piLLai asks in the vyAkyAnam, every one went to the banks of river ganga but then they returned, only iLaya perumAL and pirAtti went with emperumAn to the forest, so why is it said that every one went to the forest in the first line. He himself quotes emperumAnAr explaining that since lakshmaNan said "aham sarvam karishyAmi" (I will do everything for you that anyone can do) we can say that every one went with perumAL to the forest. He also identifies that even though his own mother stops him from going to the forest, to fulfill kaikEyi's desire, perumAL goes to the forest - such is his great quality. 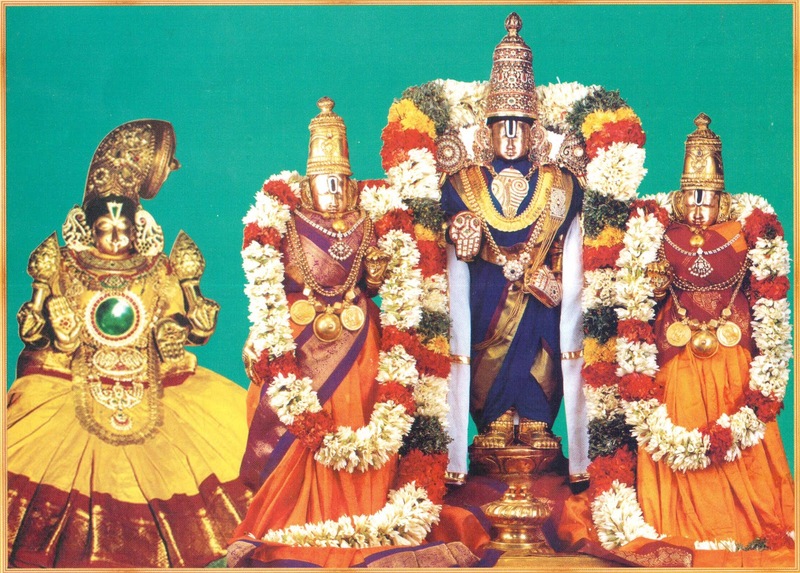 Finally in the last padhigam, AzhwAr enjoys sItha rAman in thiruchithrakUdam as govindharAja perumAL. AzhwAr beautifully narrates the whole rAmAyaNam in just 10 pAsurams. Let us enjoy some beautiful anubhavams from this padhigam. In the 7th pAsuram, AzhwAr says "arachamarNthAn adichUdum arachaiyallAl arachAga enNnNEn maRRarachu thAnE" (அரசமர்ந்தான் அடிசூடும் அரசையல்லால் அரசாக எண்ணேன் மற்றரசு தானே). He says that he does not consider any thing other than serving emperumAn (kainkarya sAmrAjyam) as rAjyam. Similar to bharathAzhwAn who carried the pAdhukas of emperumAn, AzhwAr also desires only that. In the 10th pAsuram, AzhwAr says that perumAL brought everyone from ayOdhdhi to paramapadham at the end of his leelai. In the same pAsuram, AzhwAr says that emperumAn is staying permanently in thiruchithrakUdam exactly like how he is staying in paramapadham and we should glorify him as such. Finally periyavAchAn piLLai glorifies this prabhandham as filled with full of jewels and we have to pray to AzhwAr to truly understand and develop attachment towards emperumAn. In the next article we will see periyAzhwAr's archAvathAra anubhavam. "He does not care if AzhwAr himself knows that he has become something on thirumai, emperumAn knows that he has become something on thirumalai and any one else knows and glorifies that. He just wants to become something on thiumalai." Does not make clear sense to me? If you don't mind, I think, you have to restructure the sentence so that it is simple and clear in its meaning. thanks for the feedback. yes, it was confusing. it has been reworded now. Thank you, Sir. It is much better now. "AzhwAr doesn't care if he himself knows that he has become something in thirumalai; AzhwAr doesn't care if emperumAn knows that he has become something in thirumalai; AzhwAr doesn't care if anyone else knows and glorifies that. AzhwAr just wants to become something in thirumalai."